We have been trying so hard to make some life style changes for our family so we can be more healthy and feel better. The problem for us is that when we eat, we want something that is satisfying and tastes good! I also have two daughters that don’t want or need to eat diet meals, so I’m always trying to find a balance between low calorie meals and something that feels like home. My family is really honest about the meals that I make and if they don’t like what I have made, they tell me right away and it doesn’t go on the blog. I made this the other day and sat it on the counter and it’s the kind of thing that once you start nibbling, you can’t stop! I was surprised, I don’t like hot and spicy things but this was so good! Preheat oven to 450 degrees and spray baking sheet with cooking spray. In a bowl, combine the flour, water, and garlic powder. Coat each piece of cauliflower completely, and then place on the baking sheet. Make sure the cauliflower pieces aren’t touching. Bake for 25 minutes. In a small pot, combine the hot sauce and butter and cook on low for a couple of minutes. 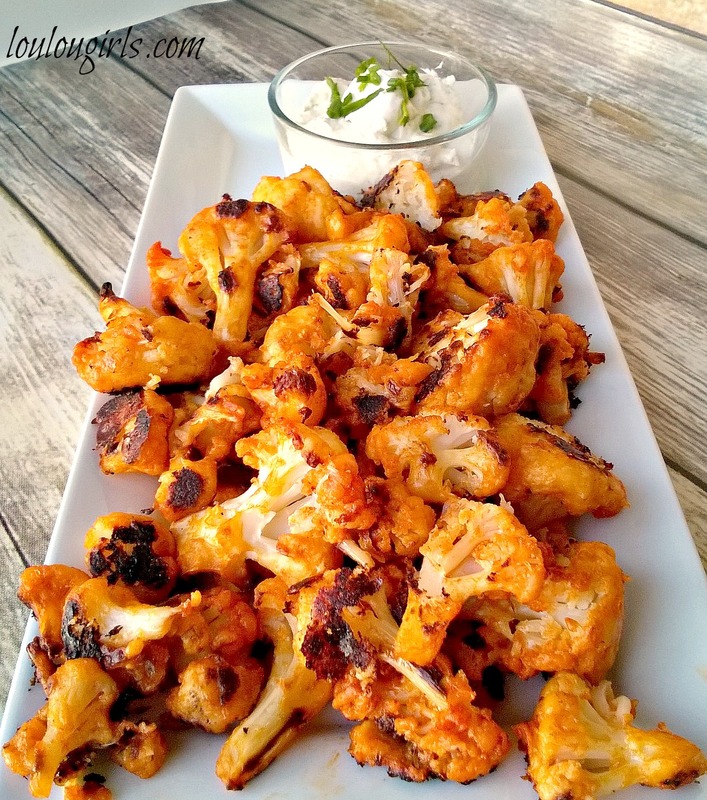 Remove cauliflower from the oven and toss the cauliflower pieces in the hot sauce mixture, and then place back onto the baking sheet and bake for 20 minutes. 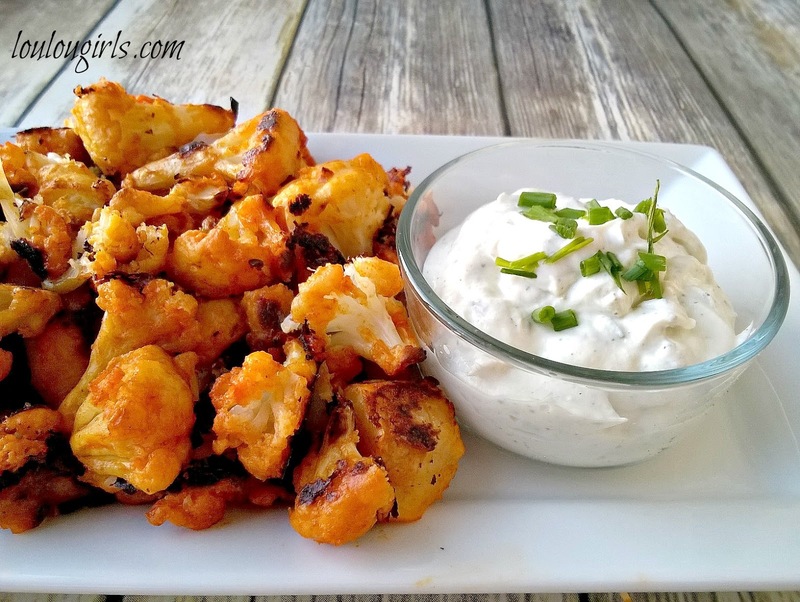 In a small bowl, combine light sour cream or Greek yogurt and ranch packet; set aside. I'm trying this tonight! Got it in the oven right now. Thanks for the great recipe!! This sounds delicious! Pinning so I can try this sometime. Thanks for sharing the recipe! You really know how to turn a plain and simple vegetable into a hot and spicy rock star dish! 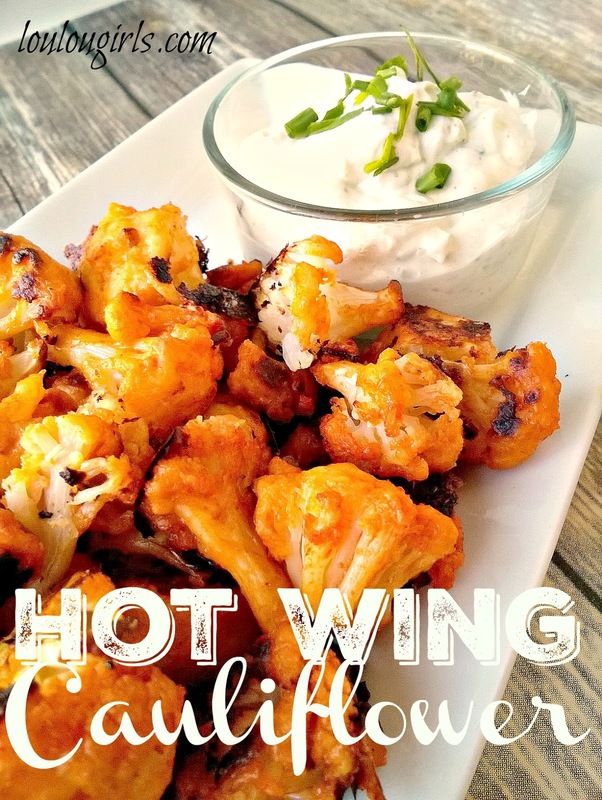 Thanks for sharing your Hot Wing Cauliflower with us at the Healthy Happy Green & Natural Party. I'm pinning and sharing. Heyyy!!! This is one beautiful looking recipe. Wanna try it right now.